On January 15-16, 2018, the delegation representing the Scientific and Educational Medical Cluster “Translational Medicine” visited the leading educational and scientific institutions of Tampere, Finland. 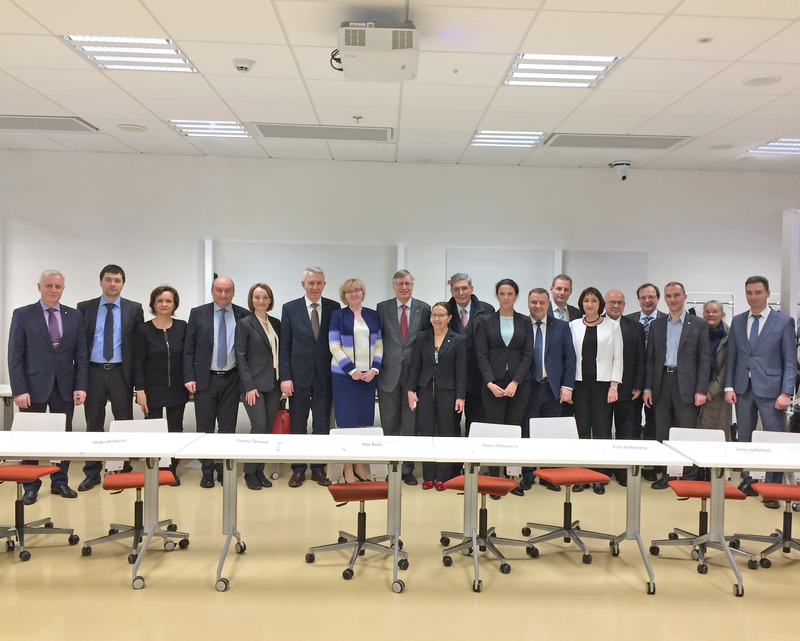 The visit was organized as a part of the agreement on cooperation signed on November 16, 2017 between the Translational Medicine Cluster, the University of Tampere and the Baltic Institute of Finland, and was aimed at learning about the introduction of medical innovations. The delegation was led by Evgeny Shlyakhto, Director General of the Almazov Centre and Academician of the Russian Academy of Science. The delegation visited the Institute of Biosciences and Medical Technology, the University of Tampere, the Tampere University of Technology, and the Demola innovation network. The participants expressed a great interest in Tampere Surgical Education Centre of the Medical Faculty, Centre for Skills Training and Simulation and the models of joint projects presented by interdisciplinary student teams as part of the Demola project. Following the visit, new joint innovative projects have been planned.